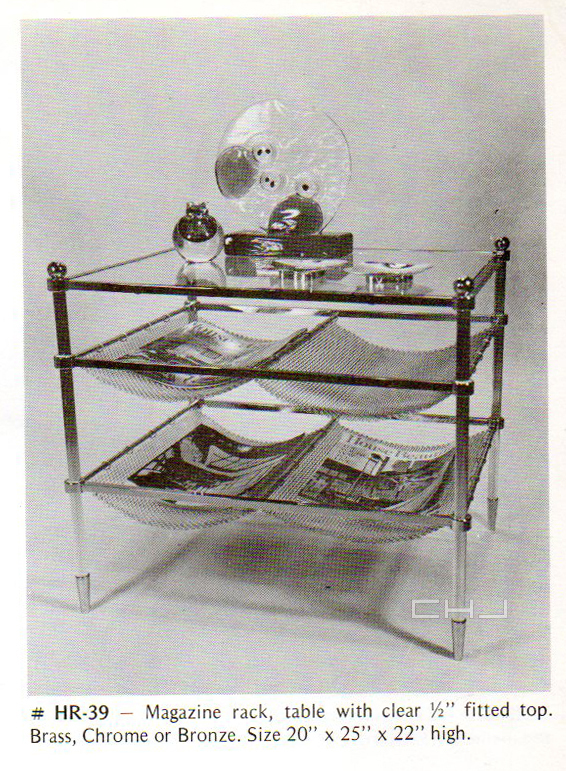 The Classic Magazine Rack is part of the Classic line. The Classic Line was inspired by architect John Elgin Woolf and Gladys Belzer. John Woolf was one of the more affluent and verbal architects in Hollywood and is really the one who created the style that came to be known as Hollywood style. He coincidentally also designed Loretta Young’s home in Los Angeles. Gladys Belzer (Loretta Young’s mother) was also a well known interior designer that often told Charles that he needed to design more classic pieces for the Hollywood aesthetic. Gladys and John often commissioned Charles to design a lot of the pieces that later came to become the Classic Line.